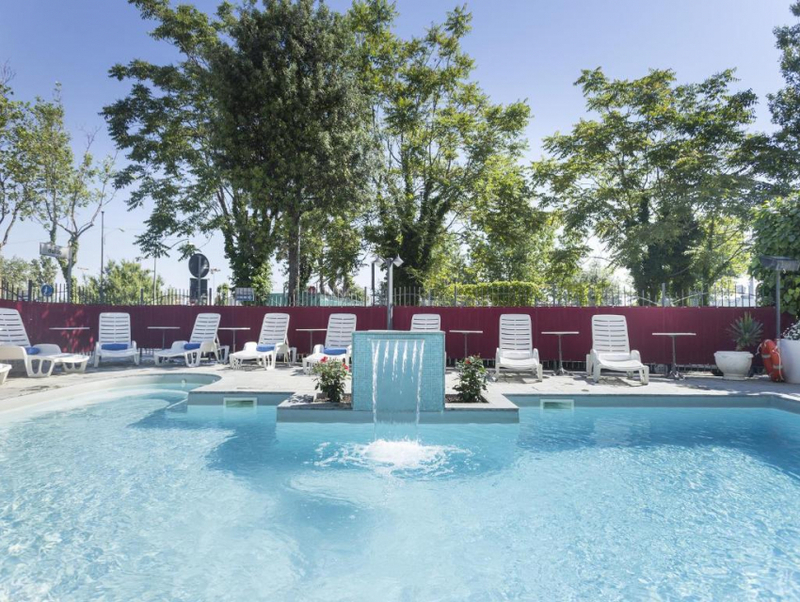 Hotel Bikini is right on the seafront in the Marina Centro area of Rimini. 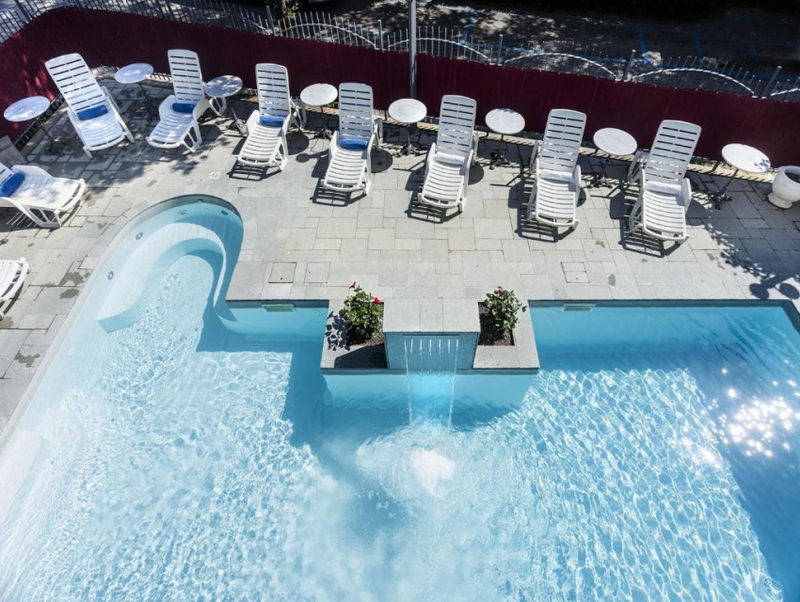 It features a heated pool, and a gourmet restaurant boasting 2 kitchens, one especially for celiac cuisine. 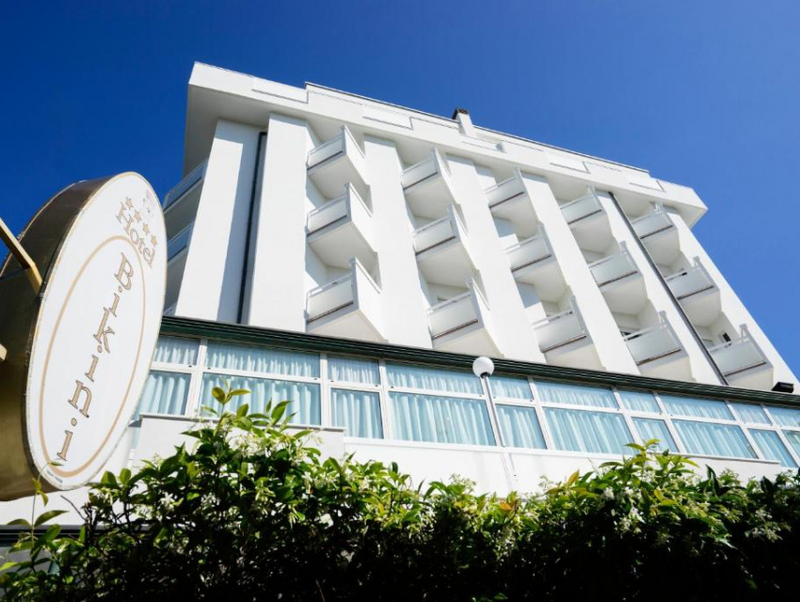 Rooms have free Wi-Fi and a sea-view balcony. Breakfast at the Bikini is buffet style, with homemade cakes, local cheeses and organic products. The restaurant serves regional cuisine, with gluten-free and celiac options on request. 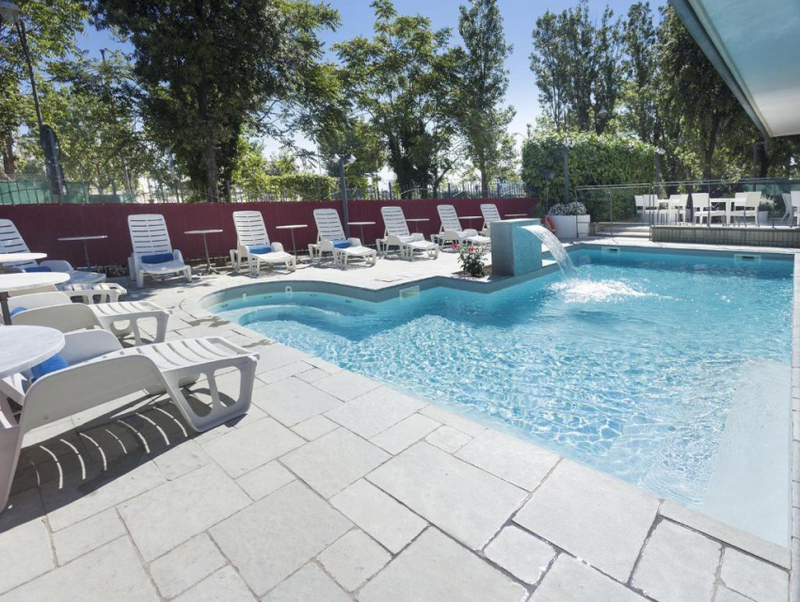 All guest rooms come with air conditioning and a flat-screen TV. 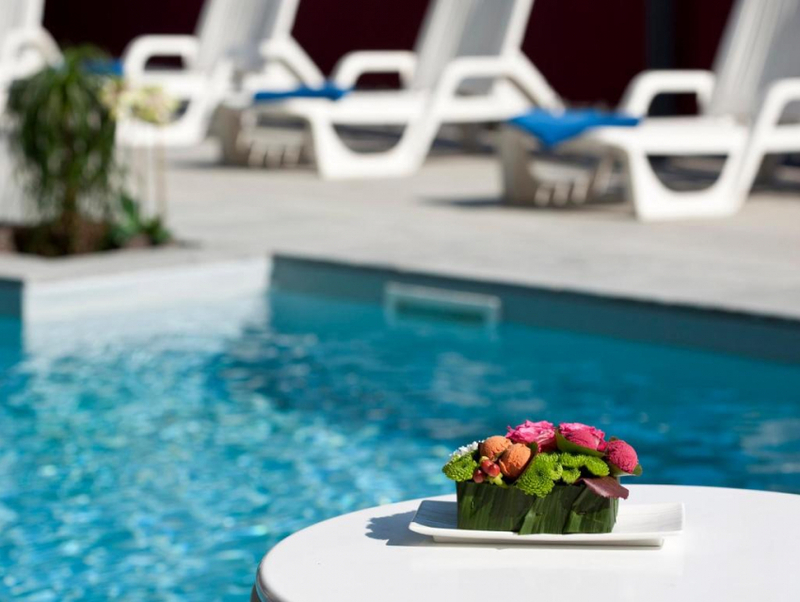 The Bikini Hotel is 4 km from the exhibition centre, Fiera di Rimini, and only 2 km from Palacongressi.